– This is probably vehicle dependent, but if installing as rear facing then sometimes difficult to get it level because of how many vehicle seats slope down. 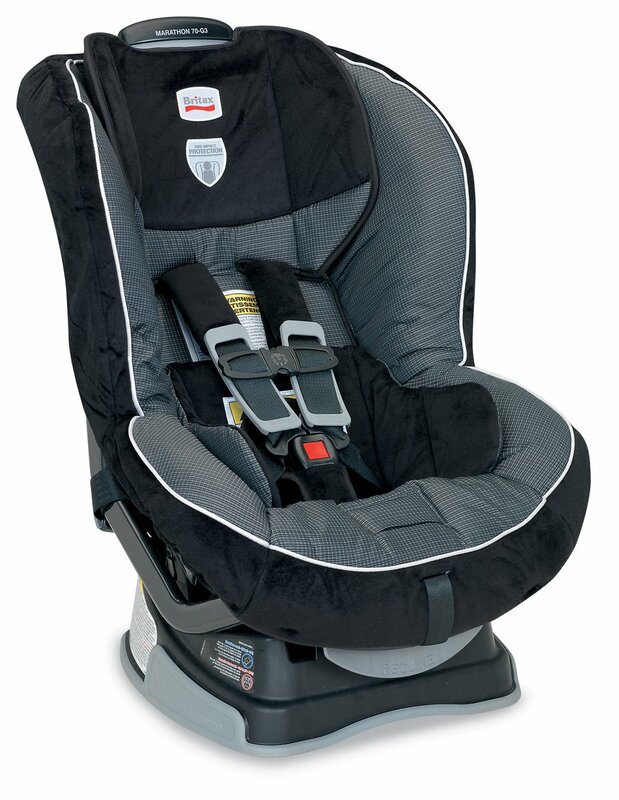 Britax Marathon 70-G3 Convertible Car Seat is another representative of the biggest car seat producing company, Britax. Similarly to every modern convertible car seat, this type provides features that are needed either for convenience or for better protection. Modern car seats have a higher back part that can support the spine and the neck preventing children from serious injuries in case of a crash. This review is concentrating on the advantages and disadvantages of the car seat so that you can make your choice easier and better when it comes to buying a car seat for your child. Now let’s see some safety features that this product can provide us, checking the list of features we might feel that this is not a car seat but it is more like a car within the car owning almost all the safety measurements that a car has. It’s been made with a technology based on safe cell which is designed to compress in a crash protecting kids from being injured. In case of a frontal crash the most dangerous situation is that the passengers of the back seats can hit the front seats so they can suffer injuries, get wounded or even die. This is because of the center of gravity. This problem seems to be solved by the producer of this product because with this safe cell technology they have lowered the center gravity and the forward rotation of the seat which normally propels the child towards the front seat causing sometimes deadly injuries or wounds for them. To strengthen the construction the designers used steel integrated bars that provide better and more flexible connection with the vehicle and reduce flexing of the seat in a crash. Another very useful safety measurement is using an energy absorbing versa-tether feature providing a stage release tether webbing to slow the forward movement. HUGS, deriving from Harness Ultra Guard System, is another technology used by the designers of Britax Marathon 70- G3 to provide resistance to forward movement in case of a crash. During the design scientist did not only focus on the forces that push the child forward but they also paid attention to the process coming from the sides that’s why the seat is made with using deep side walls lined with energy-absorbing EPP foam which is able to distribute crash forces from the sides, shield from vehicle intrusion and contains the head neck and body parts. This type of seat can be used until the child reaches the limit until they must be seated in seats because thanks to the two buckle positions it provides comfortable fit while your child grows. This is not only cost-efficient but it also avoids a lot of troubles for parents to look for new car seats for their growing children. Another very pleasing feature of the seat is that it is very easy to install and it is designed to be Airplane-Approved. Although it can be used on airplanes the width of the seat may cause some trouble not to mention the weight of the seat. If you decide to travel with this seat on a plane you might need to hire a luggage carrier cart preventing yourself from carrying it by hand. Not only the material of the seat is easy to clean but an anti-slip, contoured base grips and protects the vehicle seat too. It is also easy to install and uninstall thanks to the LATCH connectors and push-button. The disadvantages are in focus now after advantages having been discussed. 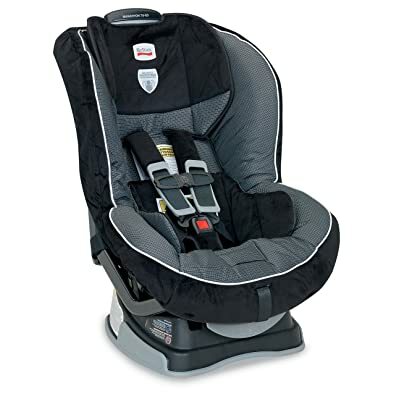 The most important downside of Britax Marathon 70-G3 is that it is very costly although this is one of the best quality convertible car seats on the market it is one of the most expensive ones. The other disadvantage that this car seat has is that it is hard to fasten the harnesses and the rear facing height limit is very small, so even if your child is under the weight limit but he or she has a longer torso, he or she cannot use the seat properly due to the small legroom. Side impact cushions are very important for higher protection and it is basically an advantage, but it makes the seat very wide so you have to choose a narrower seat if your car is not spacious enough for using a seat like this. All in all this is one of the best car seats on the market by Britax and although its cost is very high if you can afford to buy it you should because for this price you get a high quality and safe seat with all the new safety technologies.